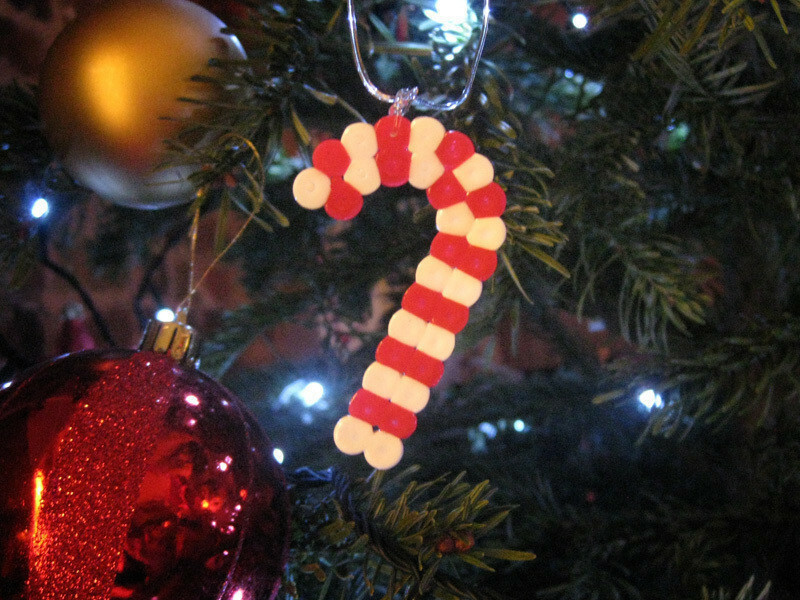 A super simple, but very cute, hama bead candy cane for your Christmas tree. 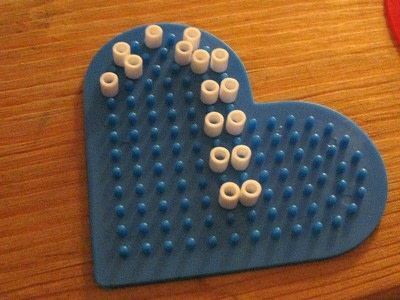 To get the correct shape, I used a heart-shaped pegboard. Start by placing down some white hama beads, two, then a space, two, then a space, etc. etc. working round the curve. 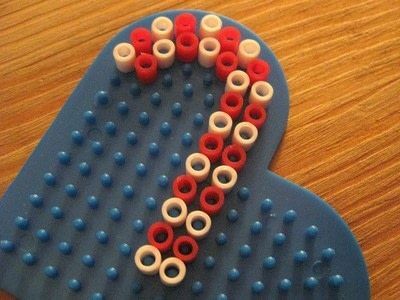 Because of the shape, you may have to have some sections with only one white bead, because the cane twists. Just make sure it looks nice. 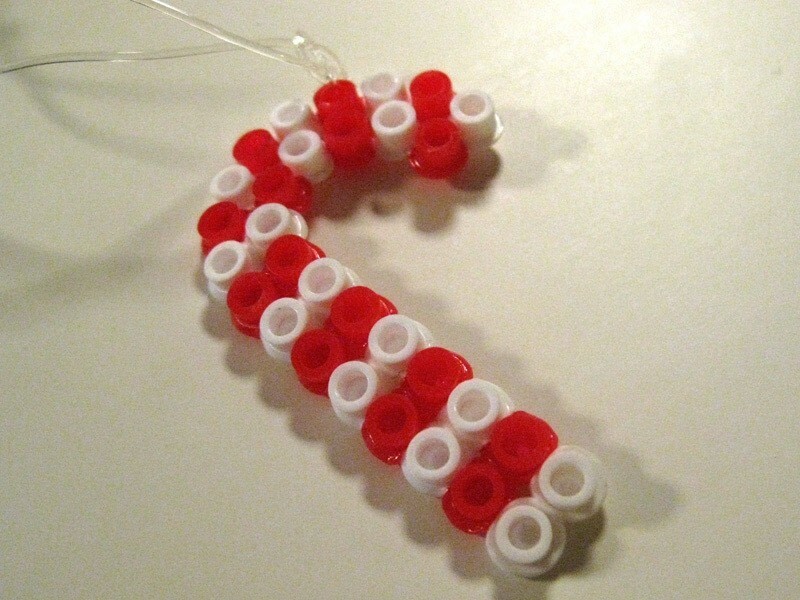 Fill out the spaces with red hama beads, so that it looks like a candy cane. 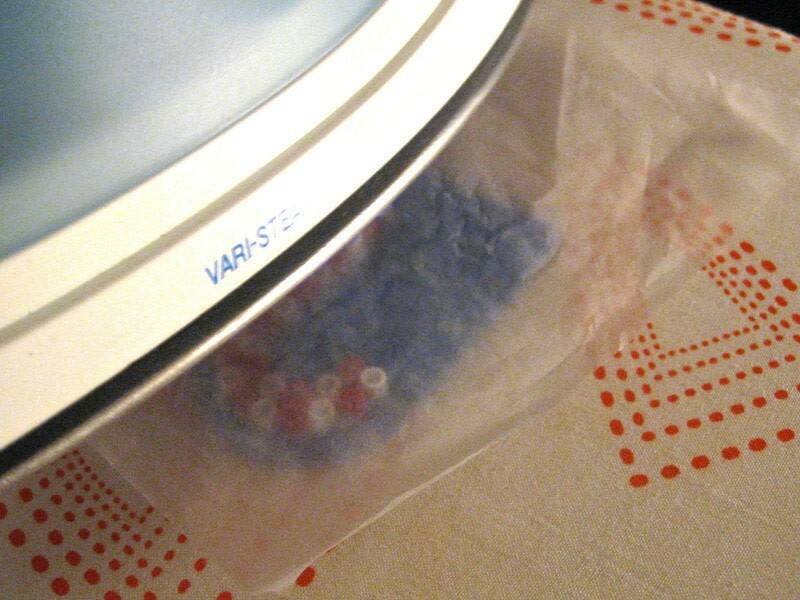 Place some wax paper over your design and press down an iron on to the design. The beads will begin to stick together and flatten. When you're sure that all the beads are stuck together, peel back the wax paper. 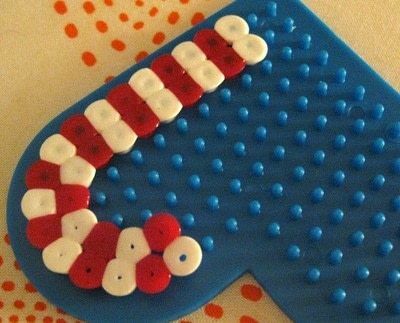 Remove the candy cane from the pegboard and tie a piece of elastic or string to it. Hang on the tree and admire. that reminds me of my childhood crafting days! im gonna make one of these!